Chris Stapleton is coming to Verizon Arena on August 23rd and 103 -7 The Buzz wants to make sure Nobody’s Lonely that night! Listen to Show With No Name and Out of Bounds all next week for your chance to win tickets for you and a friend to see Chris Stapleton! Cost Plus Furniture presents Rowdy! He’s available for adoption at the Little Rock Animal Village behind Cost Plus Furniture on University. Ask for Animal 49904. 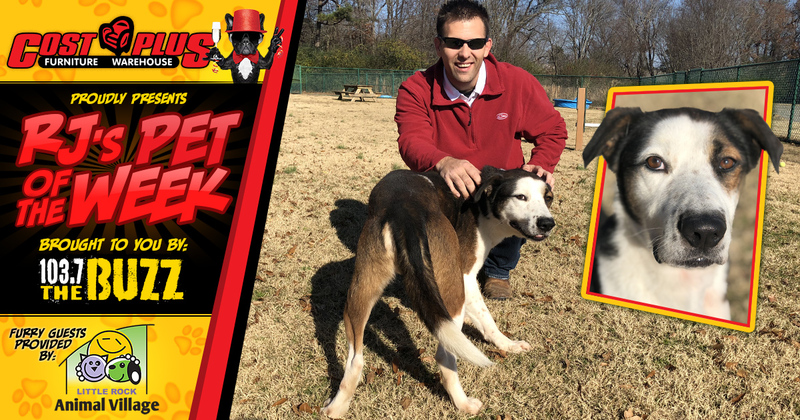 Thank you so much to Cost Plus Furniture Warehouse in Little Rock, North Little Rock, and Malvern for helping The Little Rock Animal Village save homeless pets like Rowdy! Cost Plus Furniture presents Bentley! Cost Plus Furniture Warehouse presents Bentley! Bentley is a chill, handsome, super soft Lab/Hound mix. He’s around 2 years old and weighs in at 40lbs. Bentley is a perfect gentleman. He doesn’t pull on his leash, he takes a treat very gently, and his #1 favorite past time is leaning in for some love. If you’re looking for a sweet freckle-faced furry sidekick, Bentley is your guy. He’s available for adoption at the Little Rock Animal Village behind Cost Plus Furniture on University. Ask for Animal 49459. 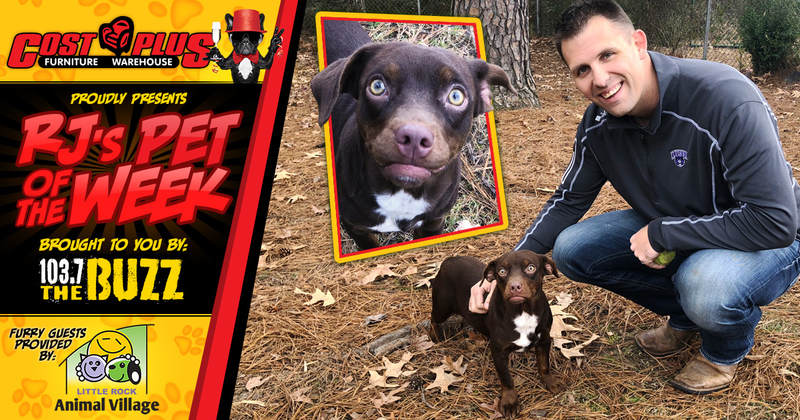 Thank you so much to Cost Plus Furniture Warehouse in Little Rock, North Little Rock, and Malvern for helping The Little Rock Animal Village save homeless pets like Bentley!